Setting: We are located on the shores of Lake Superior on Munising’s Bay within a quarter mile of beautiful waterfalls, hiking, cross-country and ski trails and the Pictured Rocks National Park. Amenities: A unique Bed and Breakfast with the privacy of a vacation rental. We have created an atmosphere fro our guests to relax and experience all that the area has to offer. 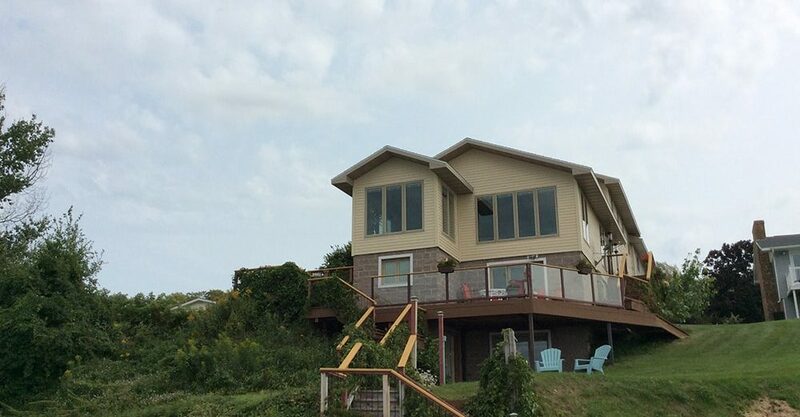 The view is spectacular, and the wrap-around deck is the perfect place to watch the sunset.